Back in 2016 we entered the Dorset Wedding Supplier Awards we hadn’t been in business long, but we had seen a friend of ours win an award the year before and, after seeing how positively it had impacted her business, we felt completely inspired to enter ourselves. We had only been in business for a few months and didn’t think that we stood a chance of winning. For us, it was an opportunity to meet and form friendships with wedding business owners that we had spent the year looking up to. As new parents, we were also really excited by the idea of a night of sparkle and glitz, after all, it’s not every day you get to attend an event where everyone looks like a celebrity – it was the ultimate date night! That night we were shocked to win ‘Best Newcomer’ and even more astounded to also win ‘Highest Over All Score’. It was an outcome that we could never have predicted and we were completely over the moon. I have said it before but winning those awards truly changed the path of our company and skyrocketed our success. Suddenly everyone knew who we were and not only that, they all instantly started to recommend us. Our bookings tripled and what started as a small ‘holiday fund’ company became my sole job. Demand for The Wedding Crecherz was so high that I had to give up my day job in order to keep up. 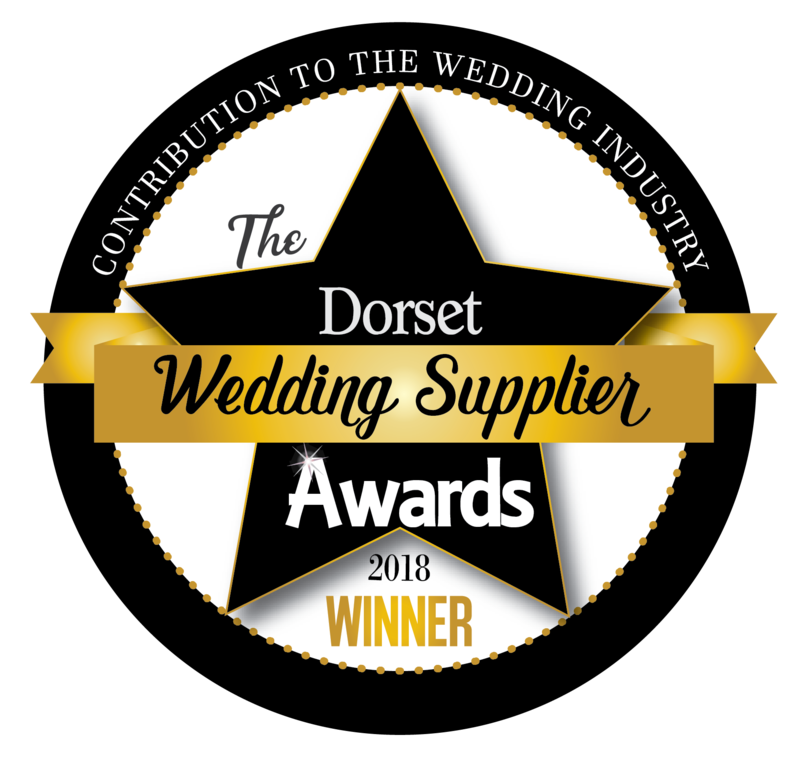 Becoming a finalist or a winner at The Dorset Wedding Supplier Awards, and displaying those badges proudly, shows couples that your company has received accreditation and recognition from experts and professionals in the wedding industry. Couples are often spoiled for choice when choosing their wedding suppliers. Dorset couples in particular are fortunate to be surrounded by such an incredibly high standard of wedding experts and although this is brilliant it can also be overwhelming. Displaying that badge catches the eye of each couple. Several of our customers have told us those badges are one of the things they look for when choosing their wedding suppliers. They know and are familiar with The Dorset Wedding Supplier Awards and this familiarity and trust helps them to make their decision. We have even known couples to hold off beginning to plan their wedding until the after awards list is published! The awards ceremony isn’t just about winning though. From the very start of the application process, all the way up to the big night, there is so much to be gained from entering, and you really do get out what you put in. Writing the awards application provides us with a much-needed pause for reflection. As business owners it is easy to forget to reflect however stopping to consider your achievements and plans for the future is crucial in sustaining the growth and development of any business. So many of our big business decisions have come about as a result of filling out the awards application. It’s a great way of monitoring your growth and planning for more. From the moment the finalists are announced the opportunities for networking and forming strong peer connections is limitless. As well as making online introductions and connecting with people via their pages, there are also ‘Meet the Finalist’ evenings to attend, a wonderful way of networking and making friends so that on the night of the ceremony you feel even more confident and supported. Throughout the entire process each company receives so much exposure via the Wedding Supplier Awards social media and website and this exposure continues long after the ceremony has taken place. Again you really do get out what you put in – the awards experience gives you something to share and celebrate and the blogging and social media opportunities are endless. As well as all of this, the evening is usually spoken about in several publications, with the winners list also published. There are also ample sponsorship opportunities and for a company wishing to really boost their audience and engage with customers and suppliers alike, this really does provide a brilliant and also affordable platform. We are incredibly excited to be sponsoring this year’s Hampshire Wedding Awards and after making so many new Hampshire friends already, we are looking forward to seeing and supporting all of the Hampshire Wedding Suppliers on the night! 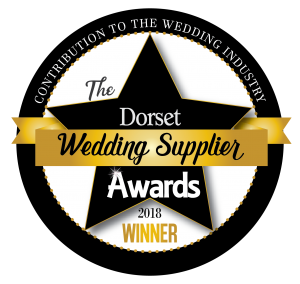 We owe so much to the Dorset Wedding Supplier Awards and really would recommend our weddings supplier friends to enter next year – it is an incredible night and a wonderful opportunity.